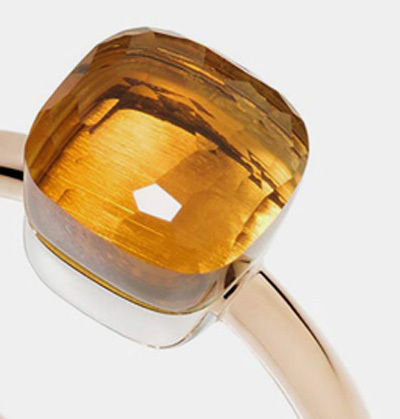 Pomellato monitors and evaluates its environmental impact through the Environmental Profit & Loss account (a link to this document is available at www.kering.com), published each year by the Kering Group. 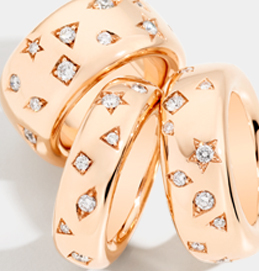 The company has obtained Responsible Jewellery Council Certification and has reached its aim of 100% responsible gold sourcing via Kering’s RESPONSIBLE Gold Framework. Alongside this core objective is our constant pursuit of sustainable silver sources and the transparent and traceable sourcing of diamonds and coloured stones. Safeguarding the cultural and historical heritage of jewellery-making is the company’s main source of inspiration and motivation. We believe that it is our duty to support the goldsmith tradition. Pomellato is committed to improving its artisans’ capabilities by fostering innovation and helping them to hone their skills through extensive training programmes. To this end, Pomellato—in collaboration with the Galdus Goldsmith Academy—founded Pomellato Virtuosi, an Academy set up to train highly skilled specialist professionals, issuing qualifications and diplomas recognised and sought-after throughout Europe. Giving Human Resources a central role and ensuring unconditional respect for the rights of all are key aspects of Pomellato brand culture, which is why the brand has adopted a code of ethics shared by both managers and employees. Our low labour turnover and the employees’ strong attachment to the company are testament to this strategy’s success, proving that a happy, healthy and safe work environment is key to ensuring continuity and well-being. Empowering and supporting the interests of women is a priority for the company, which is strongly committed to improving the social conditions and lives of women. Pomellato will always promote the education, development and growth of women, both professionally and socially, offering them the tools they need to make strides in the labour market and achieve the right work-life balance. Pomellato’s credibility and reputation are based on sustainability, which is why the brand is committed to reinforcing its leadership role through focused operational improvements and by establishing a united, environmentally friendly community. 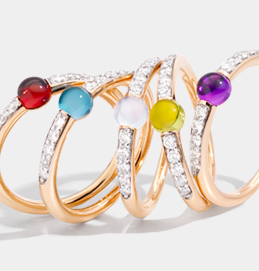 Pomellato strives to build a community in which everyone believes in manufacturing excellence, ethical values and the importance of caring for the planet.